A few weeks ago I wrote about one of my most favorite projects to do with students…Claymation! Claymation, probably more widely known as stop motion animation, is a great way for students to show a process…such as a life cycle, factorization, and word families…in a digital storytelling format. Essentially you take a bunch of pictures while moving objects very slightly. Once you have your pictures you put them in a program where you can change the duration the picture is shown. Move it to about .5 seconds and run the movie. You get the impression that your objects are moving by themselves from point to point. If you didn’t do it above, click here to read my earlier post and gain a better understanding. Why am I talking about this again? 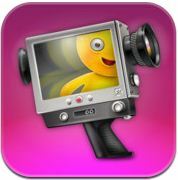 Well I had heard about an app that was available for the iPad called iStopMotion by Boinx Software. I couldn’t resist the temptation…I finally broke down and bought the app. It is a $10 app, so I was a little apprehensive at first. When you spend that kind of money for an app you expect it to be spectacular. Well I am definitely NOT DISAPPOINTED! The app, in my opinion, is amazing. It gives you clear images. All of the settings are done for you by default so all you have to worry about is taking the pictures. You do have access to many settings if the need arises. You have the ability to focus on a certain area of the screen and control the exposure as well if your device supports these options. You can also adjust the speed (frames per second) if you feel the need, but I don’t see where that would come into play very often. The only thing I can see as an issue is that you must find a way to position you iPad and leave it so it does not move while taking your pictures. The case I have works very well for this. I am sure it would not be difficult to build a stand of some type to hold it in position either. When you are ready to take your pictures, simply tap the shutter button on the screen. The best feature for me in this app is that it shows a faded image of the last picture you took. This allows you to see how much you have moved your object. This makes it much easier to create a smooth effect with your movements. The object’s movements do not seem as choppy. That is a GREAT feature. If you are afraid of how much the iPad may move as you take the pictures, fear not! Boinx has created an iStopMotion Remote Camera app that you can download for free. The purpose of this app is so that you can use the camera on another device to take the pictures. That way you are not touching the device in which the camera is in use as you are working. The devices connect via wireless network. It works quite well! If you are lucky enough to have multiple devices, this app is worth the download. Once you have finished all your pictures, you return to the gallery. Clicking on the action button allows you access to additional options. One option is for music. If you want your video to include music, you can add a soundtrack from iTunes. The other four options are all download options. You are able to choose to save to your Camera Roll, email the video clip, upload to YouTube, or upload to Dropbox. Done…finished…that’s all folks. It really cannot get much easier than this. The app is so simple to use all of your effort can be put into the background and props you are using, as well as paying extra attention to how you are manipulating the objects which will result in a smoother video. To show you how easy this is let me show you a video my 8 year old daughter did all by herself. I gave her the FULL 1 minute tutorial on how to use the app and then let her at it. After trying a couple different ideas and getting used to how the app worked… which totaled about 5 minutes of work…this is what she came up with. Let me reiterate this…she did it ALL by herself. I did not help with anything. She was drawing and taking the pictures all at the same time. Now it goes without saying that she is probably one of the smartest, most gifted children on Earth…but this even amazed me! As you can see, amazing things can be done with this app. 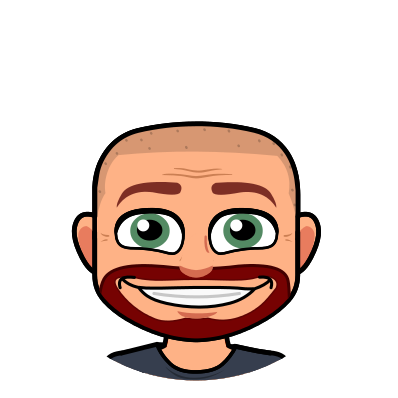 If you are interested in getting your students to key on emotion and expand their learning to include projects such as stop motion animation, this app is just what you are looking for!